A classic timepiece often carries great history, and a Grand Seiko watch shines with more than 50 years of design, innovation, and timekeeping. First unveiled in 1960, Grand Seiko watches were some of the very first to combine the incredible feats of engineering with the precision, craftsmanship, and durability of traditional watchmaking. Since its very first designs, the Grand Seiko brand has sought to achieve one goal: to make the ideal watch. These are truly timepieces designed to lead, to stand out when worn. Still today, this timepiece brand is renowned around the world for its quartz watches and its constant innovation. Always modernizing and always moving forward, Grand Seiko watches are always evolving—and you can find the perfect watch waiting for you at New Jersey’s Safa Jewelers. As an authorized retailer of Grand Seiko timepieces, Safa Jewelers is home to the latest collections and watch designs crafted by this renowned company. Styled and internally crafted to be both eye-catching and functional, aesthetically attractive and highly capable. Grand Seiko watches are unique in their modernity. With a combination of technologically advanced features and style elements like shining precious metals, sparkling gemstones, and soft, curved lines make this watchmaker’s timepieces stand out from more classic and traditional watch faces. With watches for both men and women, Grand Seiko offers collections to suit any individual’s style. 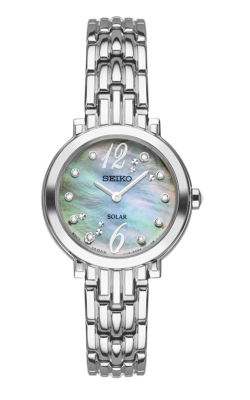 The latest collections for women offer a vast variety: if it’s glamour and glittering sparkle you seek, the Grand Seiko Coutura and Le Grand Sport styles feature diamonds and gemstones, while the Recraft styles are more classic and frills-free. 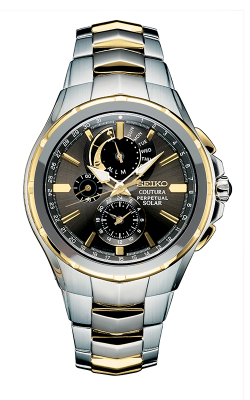 For men, Grand Seiko watches encompass every possibility. If it’s clean panache you love, the Presage and Le Grand Sport collections combine timeless faces with pops of color. Want a sportier look? The Prospex and Premier styles are a perfect fit. Safa Jewelers is a superior retailer of luxury timepieces like Grand Seiko watches—but one visit to our showroom will unveil just how much there is to explore. Located in New Jersey and serving customers from New York City, Philadelphia, and beyond, Safa Jewelers is home to a host of incredible watches from top names like Baume & Mercier, Movado, Oris, and more. Yet our selection of products also includes the latest designs from high-quality jewelry designers. Shop engagement rings, wedding bands, and fashion jewelry in addition to exquisite timepieces, and you’ll find exactly what you seek. Find the Grand Seiko watch you’ve been looking for at Safa Jewelers, along with superior service and knowledgeable staff.